Spring has arrived, which means it’s time for parents to start searching for information on summer camps and other educational programs for their children. The Arizona Daily Sun has recently announced a request for organizations to submit their summer programs to agripman@azdailysun.com. The Daily Sun produces an annual summer camp round-up story. 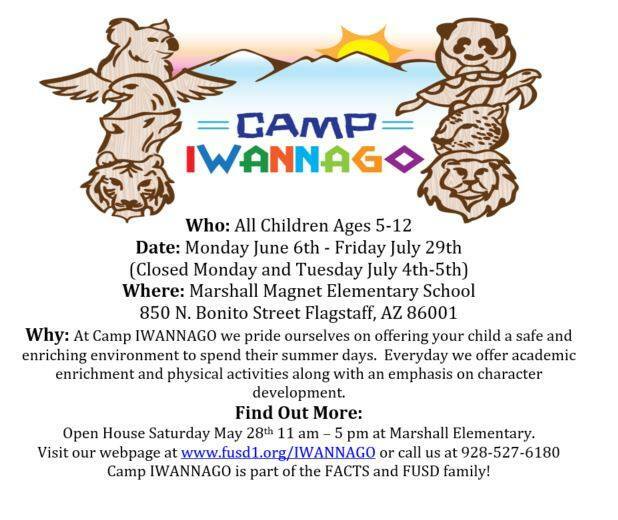 Click here for more information on how to submit summer camp information for this year to the Arizona Daily Sun.